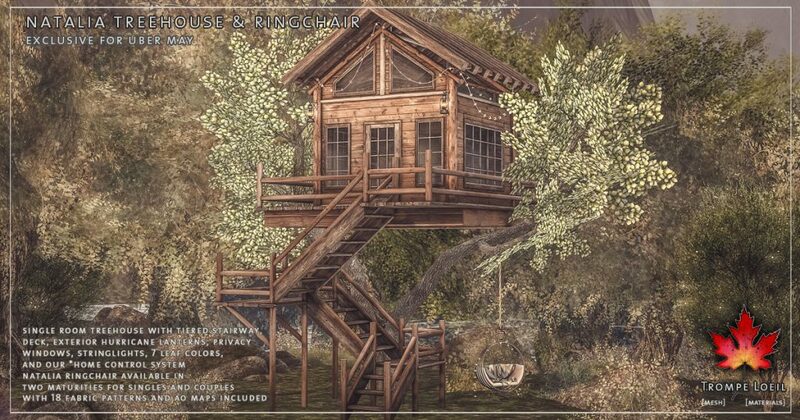 High above the trees is the place to relax this summer – the Natalia Treehouse and matching Ringchair are stairways to heavenly tranquility! 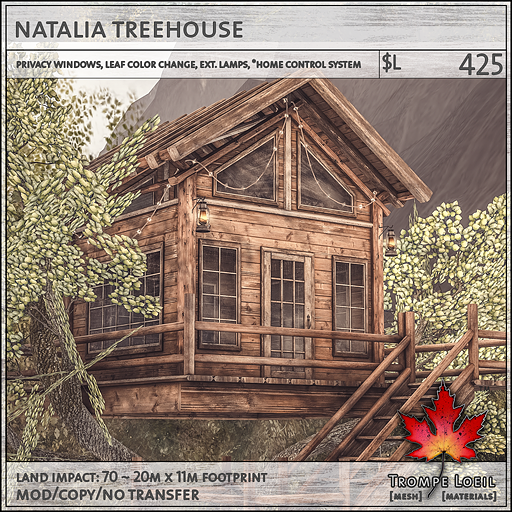 The Natalia Treehouse is a single room structure that sits nestled in the boughs of a tree with 7 leaf color options on touch, with exterior hurricane lanterns, stringlights, privacy windows, locking door and our *home control system. 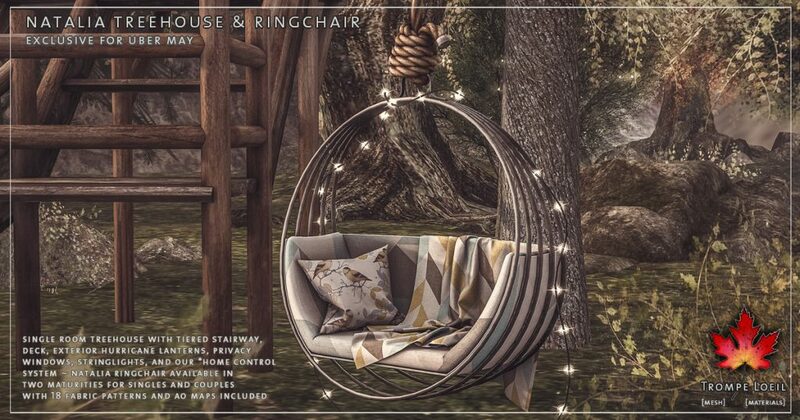 A beautiful retreat for any season! 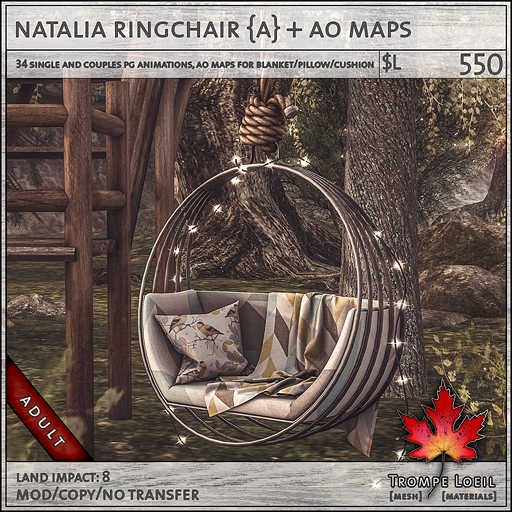 The matching Natalia Ringchairs hang gracefully from any branch or beam, with 3 rope lengths included, two maturities for singles and couples, texture change pillow, blanket, and cushion, and AO maps included so you can customize it just how you like! 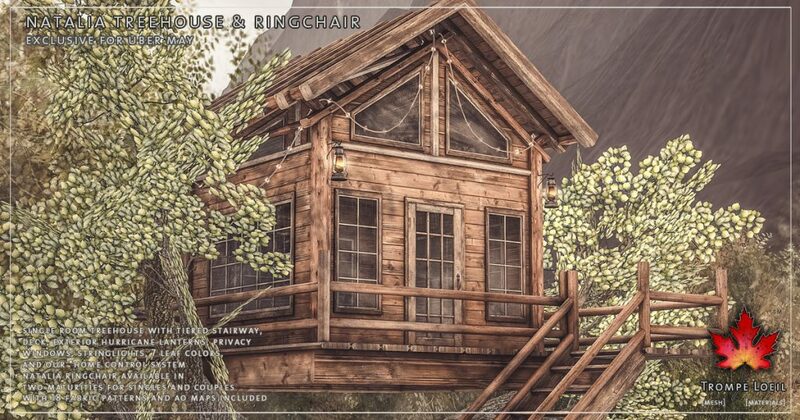 Check them out at Uber’s May round, finishing June 23!